About Junior Branch Junior Branch (JB) is a vibrant global movement within CISV that aims to develop our organization – educating and inspiring action for a more just and peaceful world. We believe that one of JB’s greatest contributions to CISV is its unique approach to educational content. The vision of JB Brazil for 2015 was to become well-known for the development of educational content within CISV, and this project is a result of it. 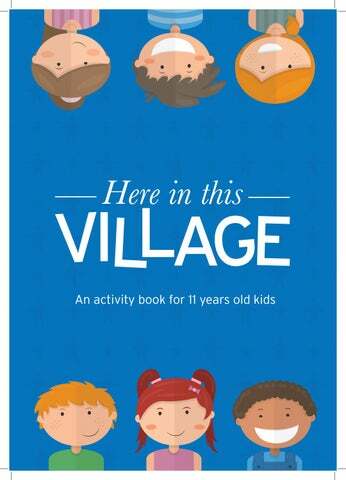 About the activities The activities in this book were planned considering an educational approach that is adequate to the age of the participants (11 years old). Our goal is to develop attitudes, skills and knowledge in a dynamic way. Educational content can be explored in a diﬀerent way that we usually do in camps, specially Villages, and we hope this book inspires leaders, JCs and Staﬀs to run the activities - using their creativity to adjust them to their own camp - but also to create new ones. Tips to the facilitators We encourage the facilitators to make sure that everything in the activity was understood and to check if you have all the materials needed before applying it. Also, it’s very important to make adaptations according to the group and to consider some factors such as: When is the right moment of the camp to run the activity? Will the participants be able to achieve the activity’s goals? Can this topic be triggering to a specific delegate or delegation? the group is being formed. On this stage, it’s interesting to have activities to get to know each other and also activities that encourage the formation of the group. is when the participants are ready to achieve different challenges and develop themselves in a new way. It’s time to activities with deep themes that might request a higher level of maturity. participants, making them ready and confortable to go home, even if it’s difficult to say goodbye to their friends. Encourage them to reflect on things they have learned and people they have met it’s very important at this point. Last tip: it’s always important to keep in mind the goal of the activity in order to have a great result from it. Thank you! People on the working group: Allan Sabino, Clara Coutinho, Flora Gurgel, Gabriel Tarsitano, Gisele Feder, Isabella Garcia, Luisa Carrasco, Luisa Lima, Nathalia Araujo, Pedro Mota. Other people that contributed to this project: Anjo Peez-Zvetina, CISV Brasil National Board, Daniel Avelar, Gaspard Simon, Gabriela Sereno, Karen Rabello, Marina Moreira, Rupert Friederichsen. 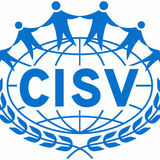 WHY WE ARE HERE “Why we are here” introduces CISV educational content. It encourages the participants to understand and reflect about the educational principles and purpose of the organization, besides realising their role as participants and representatives of CISV. We believe it’s important to include this theme during all CISV camps and events, not only Villages, because all CISVers should be aware of their own purpose as part of the organization. What do we want from them after this activity? Divide the participants in 8 groups. Before explaining the task, we suggest the leaders to play a scene to introduce the activity: Everyone would be 11 years old. Some kids (group A) are talking about something with a lot of excitement (CISV). In a certain moment, other kids (group B) comes to them and asks what are the others talking about. Group A tries to explain, but all they can say is: “Oh it is so cool! We love that so much, it’s amazing, it changed our lives!”. Group B gets more and more confused, but they still want to understand it better. After that, Group A invites all the kids to join in a fun activity to understand what they were talking about. There will be eight stations around the campsite. The groups must go to all of them, complete the task and collect a piece of the puzzle. If you prefer, you can create a specific order of stations for each group. Gather all groups together again in the activity room and ask them to put together the pieces they got in each station. In order to solve the puzzle, they should all work together and unite all the groupsâ&#x20AC;&#x2122; pieces (that information is not given and they need to get to that conclusion by themselves, therefore, be incentivated to start trying in each group). In each station, the group will be given a word and its description. Based on that, they should perform a task. If necessary, the leader/JC can come up with more clues about the word to help the group. We also suggest that the leaders translate the words and descriptions to their own language, so the kids can read it in their mother tongues. After they complete the task on each station, they will be handed out a piece of paper that shall be used at the end to complete a big puzzle with the CISV Mission. Station 1: DIVERSITY We appreciate the similarities between people and value their differences. Station 2: HUMAN RIGHTS We support social justice and equality of opportunity for all. PEACE We want a world with more ______, where within all our differences and beliefs, we can still live in a non-violent society that respects individuals. JUSTICE We want a world with more _______, where every person has the same opportunities and rights assured. We encourage the resolution of conflict through peaceful means. We support the creation of sustainable solutions to problems relating to our impact upon each other and the natural environment. Station 6: INSPIRE We _______ action when we motivate our participants to act differently or more than they did before. Station 5: EDUCATE We _______ by providing experiences that develop new skills and knowledge in the participants. • What did you understand from the descriptions of the stations? • What about the statement on the puzzle? • Did you notice any relation between the words you came up with in the stations and the statement you got from the puzzle in the end? What are them? • Did you know that this statement summarizes CISV mission? • The leader explains the Mission* • Did you know that “Diversity”, “Human Rights”, “Sustainable Development” and “Conflict and Resolution” are the four content areas of CISV? • The leader reads the definitions again, explaining each content area • How do you think that is being applied in our camp? Can we improve it? • Throwing back to the play we watched in the beginning of the activity, where the kids were having trouble explaining what CISV is: How would you explain CISV to a friend? **OPTIONAL PART**: At the end, each kid should draw what they’ve learned from CISV Mission. It can be in the format of a drawing, bookmarker, post-card, placemat or anything else. * CISV MISSION: “CISV educates and inspires action for a more just and peaceful world.” Every organization has it’s own mission that can be used to easily express and summarise it’s work and intentions. This is CISV Mission, it brings up the reason why we have our programmes, projects and activities all around the world and what are our goals with them. CISV camps are not only about having a good time and making friends, and this phrase tells us our mission, what differs us from other common summer camps. By empowering and inspiring participants all around the world, we build global friendships and contribute for a more just and peaceful world. WHERE I SLEEP The purpose of â&#x20AC;&#x153;Where I sleepâ&#x20AC;? is to talk about social inequality in a way that the participants relate what they see in their daily lives to a global scale. It promotes the understanding of social inequality in their local community and country and it encourages participants to act differently when facing it in their own lives. • Pencils, colored pencils, colored pencils and colored markers for all the participants; • At least 8 images from the project Where Children Sleep; • Projector and speaker (optional). Organize the kids in groups of 6. Individually, they have to draw their own room. (15 minutes). Each group should think together about what grade would that kid give to his/her own room (repeat the task changing the pictures from group to group as many times as you find necessary, we suggest at least 3 times so they can see the differences). After this, ask the kids to rethink the grade they gave to their room and if they want, they can change it. • Did you change the grade you gave your room at first? Why? • What caught your attention the most in the pictures shown? • Why do you think the rooms were so different? • Do you realize differences like those in your city/country (not only in rooms)? In this part, the leaders should present the definition of social inequality (we suggest this one: Social Inequality: Unequal rewards or opportunities for different individuals within a group or groups within a society.” (http://www.encyclopedia.com/ topic/inequality.aspx#2-1O88:inequality-full). The leader should be sure all kids understood the definition. • Why do you think there’s social inequality in the world? • Why do unequal opportunities make the world a less just place? • Do you think you can help making the world a more just place? How? PINK AND BLUE â&#x20AC;&#x153;Pink and blueâ&#x20AC;? is an activity that promotes a reflection on how sexual and gender stereotypes are limiting and how they can be unjust. It encourages participants to recognize sexist behaviours in themselves and people around them by realizing that social roles of boys and girls are stereotypes. What do we need? • Dress for the leader part: any arts & crafts available and the participants can use their own things; • List of characteristics written on a big paper; • Projector and speakers (optional). it might be interesting to have different combinations to compare if there are different perspectives. Example: A group of girls dresses the female character and a group of boys dresses the male character; a group of girls dresses the male character; a group of boys dresses the female character. GENERALIZE (15-20 minutes) Now, the participants will answer some questions. They need to move to a corner of the room if the answer is “YES” and to the other one if the answer is “NO”. 1- I like playing football. 2- I like Disney fairy tales. (like Cinderella, Snow White, Little Mermaid…) 3- I enjoy cooking. 4 - I like to draw. Do you agree with the following affirmatives? 4- Girls don’t like to play football 5- Every boy enjoys playing football 6- Boys don’t like Disney fairy tales 7- Every girl enjoys cooking 8- Boys don’t like drawing ***OPTIONAL PART*** After the YES or NO questions, play the video: “Always #LikeAGirl” https://www.youtube.com/watch?v=XjJQB jWYDTs (We suggest you to cut off the advertisment part). You can add questions about the video on the next part, if you like. • How did your group choose the clothes and characteristics to the characters? Was it easy to decide? • The female characters were similar or diverse in the dress-theleader part? What about the male? • Think about when we were standing in a corner and were asked questions.Did anything surprise you about the answers? • Do you believe there are things only boys can do and things that only girls can do? Why? • Which typical ‘girl things’ and which typical ‘boy things’ apply to you? • How can we avoid boys and girls stereotypes? ALTERNATIVE FOR THE DO PART: Instead of dividing them into 8 groups, this part can be done in their own delegations. In this case, you can ask them to consider not only the age and gender, but also how it is to be a girl/boy in their own country. If you choose to do like this, the first 2 questions of the last part can be done right after the presentations. LIGHTS, CONFLICT, ACTION! “Lights, Conflict, Action!” is an educational version of the typical activity called “Cinderella”. By thinking creatively on how to solve a conflict, this activity aims to encourage the participants to realize there are always different ways to solve problems. This activity is an educational variation of the classic activity called “Cinderella”. Introduction (15 min.) Divide the participants in 6 groups of 8 people. Then, the leaders play a scene: They are children playing at school during the break. Two kids are running, when suddenly, one of them bumps into another kid and her snack falls to the ground. She gets very angry and they start to argue (and other kids get involved in the quarrel). The teacher and other frinds who were around stops to see what is going on. • the kids that were running; • the kid who has had his/her snack bumped; • a friend who was having snack with the kid; • the teacher; • the friends that saw what happened; • an older kid that was near the accident. Presentations (30 min.) Each group has approximately 5 minutes to present its play and to explain which perspective they had. • Was it easy to come up with a resolution to the conflict? Why (not)? • Do you think there is a better way to solve conflicts? To conclude the activity, the leader who is facilitating each debriefing can sum up the activity by saying that they saw that there is always different ways and points of view in a conflict and the resolution of it can happen in different ways. The size of my footprint “The Size of My Footprint” aims to have a different approach on the theme Sustainable Development by encouraging participants to reflect about their own habits as environment-friendly or not. By seeing a “big picture” of their practices through the Ecological Footprint Calculator, we believe the participants can rethink about their habits and their impact in the environment. • 3 tables previously prepared; • Post-its or small pieces of paper with the information to complete the tables; • At least 12 copies of the Ecological Footprint Calculator; • 12 Big papers; • Color pencils. This activity was based on the lesson plan “Understanding Sustainable Living” created by the teacher Trayle Venus Kulshan in collaboration with Think Global . This material is part of the project “World’s Largest Lesson” by TES and Unicef in contribution to The Global Goals for Sustainable Development. Like this, there will be 3 groups #1 (A,B and C), 3 groups #2 (A, B and C), 3 groups #3 (A, B and C) and 3 groups #4 (A, B and C). Once you have the groups, the facilitators present four caracthers* briefly and tell the participants that they will collect information about their lives. * If you prefer, you can create different characters. JAMES: James is 13 years old and he lives in Florida (USA) with his parents, his sister and his brother. LORENA: Lorena is 8 years old and she lives with her parents and brother in a small town near the city of SĂŁo Paulo (Brazil) ADRIENNE: Adrienne is Italian, she is 6 years old and she lives with her parents and two brothers. SURYA: Surya is 11 years old. He lives with his parents and his grandfather in Delhi (India). There will be 4 tables* around the campsite. Groups #1 should go to table #1, groups #2 should go to table #2 and so on. There will be at least one leader/JC in each group. For the kids who are not fluent in English it might be interesting to have the leader with them in the group. Alternatively, the groups can be the delegations (still, there will be 3 teams formed by 4 delegations each). He eats fish or meat every night. His family buy food at a supermarket near his house. His parents have a car and they usually drive him to different places. To go to school, he rides the bus. His family wash the dishes and do laundry everyday. They usually have 1 bag of trash that they take out the house everyday. He lives in a big house, so they usually consume a great amount of electricity per month. She is used to eat lots of fish, fruits and vegatables. She doesn’t eat other types as meat and dairy (milk and eggs) as often. Her mom spend a lot of time in the market to buy fresh food. She and her brother walks everywhere, including to go to school. Her mom walks to work and her father rides the bus. Her family usually purchase things only when they really need. They recycle almost everything they can. She lives in an average size home with four rooms. Most of their electricity comes from reneable resource. She eats lots of fish and meat, almost every night. Her family eats eggs, milk and dairy occasionaly. Most ot the food they eat are fresh and locally grown. She and her brother usually ride their bikes to school, except when it’s too cold because of winter (then their parents drive them). When the whole family go out together, they drive a car from a sharing car scheme or take public transportation. Her family usually recycle bottles. Besides that, they don't recycle any other materials - it all goes to the same trash bag. She lives in a four bedrooms brick apartment built after 1980. In the winter, the apartment is heated using electricity. He doesn’t eat any meat and he only occasionally eat dairy products. He usually eats rice, lentils and vegetables. His family doesn’t have a car, but he usually takes a taxi to travel around the city. Sometimes he also takes a bus. He lives in an avarege size home. Usually the weather is really hot, but when needed, the house is heated with coal. of information (you can start with the group from team A, or any other order you prefer). The information will be revealed to this group only, and after that, the other groups can not choose that part of the table anymore. 3. The groups will keep collecting the information, until all of them are revealed. After all the groups have finished, gather them back in their teams (A, B, C) and, within the teams, they should share all the information collected from the tables about each character. For this part, you can give each group a copy of the table (without the information). Probably they won’t be able to complete the table. It’s alright if they want to share information with other teams, but it won’t be a problem if they don’t complete. Based on that, each team needs to rank the characters. The highest ranking will be the one who has most actions that affect the environment negatively. The lowest ranking will be the one who affects the environment the least through their actions. The facilitators can ask them to share their ranking. • How did your teams rank the characters? • Which characteristics did you take into consideration? • How do you think is your impact on the environment? Why? • Do you know what an “Ecological Footprint” is? If not, what do you think it is? Explain briefly the concept of it to the group: An Ecological Footprint is a way to measure and compare different lifestyles. It allows us to calculate how much pressure our lifestyle is putting on the natural environment of the planet. With the help of the leader, every delegate should calculate their own ecological footprint* according to her/his own daily habits. After they finish, they need to compare the footprints within the delegation. • Were the results more similar or different? Why? Based on their own habits, each delegation should come up with a fictional character that combines all of the practices that impacts the environment in the most positive way they have amongst themselves and even other characteristics and actions we can have that are considered good for the planet. The fictional character is from their country and they need to create it according to their country context. In a poster, they need to draw the character and represent its habits. The leader facilitates the process, asking the delegates why are they choosing those characteristics, why does it represent someone who impacts the planet in a positive way and so on. When all groups have finished, they should share the characters with the other delegations (Suggestion of format: fair of posters in one table for each delegation).